Scientific research is trending away from attempts to answer questions about the bigger picture. The universe is so unimaginably large, and with this observation it's proving to be a daunting task to explain events occurring in our own galaxy, let alone the vast quantity of space beyond. Instead, research focus is shifting inward, into the spiritual realm, with specific attention to our conscious being. Our private inner thought process is a key element to defining us as human. The mind's ability to manipulate matter inside the brain for data retention and regurgitation is very mysterious. Imagine if science was able to unlock the full potential of the human mind. Perhaps traveling to the distant reaches of the universe might not be so far away. If communication between two humans can be carried out successfully on Earth, who's to say it's not possible to communicate to the distant reaches of our galaxy and even the universe? Leaps in cloud technology add plausibility to scientific breakthroughs capable of storing thoughts on networked devices. Further, machine learning to leverage artificial intelligence may provide a window into the mind that mankind has yet to experience. Advances with computer systems may eventually reach this point, but the implications of such devices may not be known in entirety. Perhaps though, mankind might be able to communicate over the distant reaches of space by the mind alone, without aid of technology. 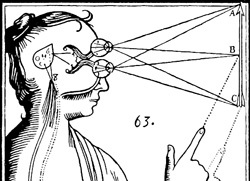 The idea of a universal mind has stirred in philosophical theory for a long time. Is it possible that humans have rudimentary connection with the mind of nature or to a consciousness of the universe we've yet to unlock? Even though science proclaims only a small part of the human brain is understood, it is possible a link to our universal mind resides within.